Art Beast Child Development Center is located at 4390 47th Avenue, right off Highway 99. Our classrooms and learning spaces are designed with purpose and beauty. We use natural woods and ever changing materials to offer a dynamic environment to be explored and reconstructed by children. The space includes an art studio, a science lab, a construction zone, an authors' corner, dramatic play spaces, and a natural playground that features garden beds, a hill slide, sand and water play, and natural climbing structures. We play outside everyday! We are of the belief that there is no bad weather as long as children have boots, jackets, and hats to face whatever comes. Led by the founders of Waking the Village and Artenia Beast's Academy of Play and Whimsy, Art Beast’s teachers bring a combination of work experience and education that ensures professionalism and know how. Our educators are educated and qualified. All meet or exceed the requirements established in California’s Community Care Licensing’s Title 22 Regulations. More importantly, our educators love their profession and arrive daily to uphold an environment where children and the community of families thrive. We look for teachers that love what they do and recognize the responsibility placed in them when families trust them with the care and education of their child. The daily schedule offers rhythms that balance self-directed and community learning, as well as unstructured and structured time. The schedule also offers a rhythm that reassures children and allows each to predict the pattern of daily experiences. This consistency becomes a platform for children to take the risks of learning and exploring, fully confident the day will keep its order. Each activity is tailored to the child’s developmental stage so that skill building and social interaction are well suited to the child’s abilities and stage. 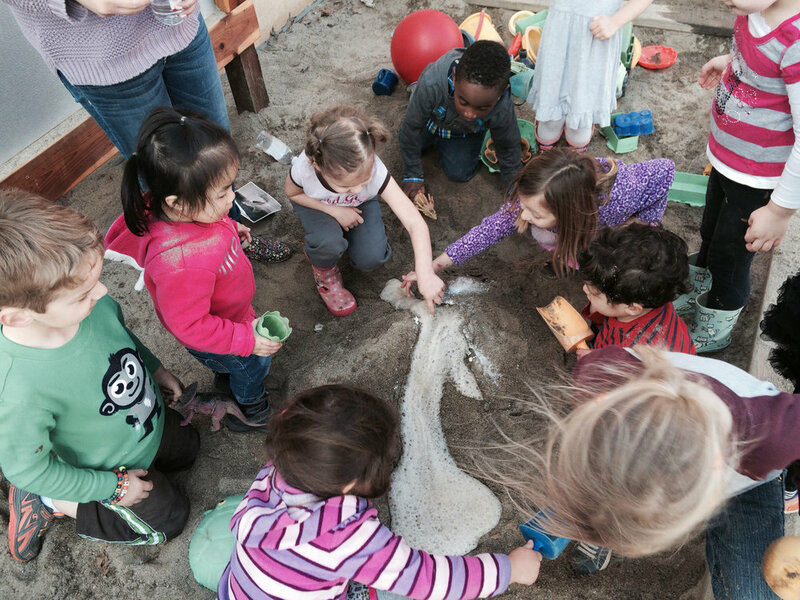 Each day includes song, movement, dramatic play, art, science exploration, and outdoor play. Regular meals, snacks, and periods of rest ensure spirits are nourished and refueled throughout the day.